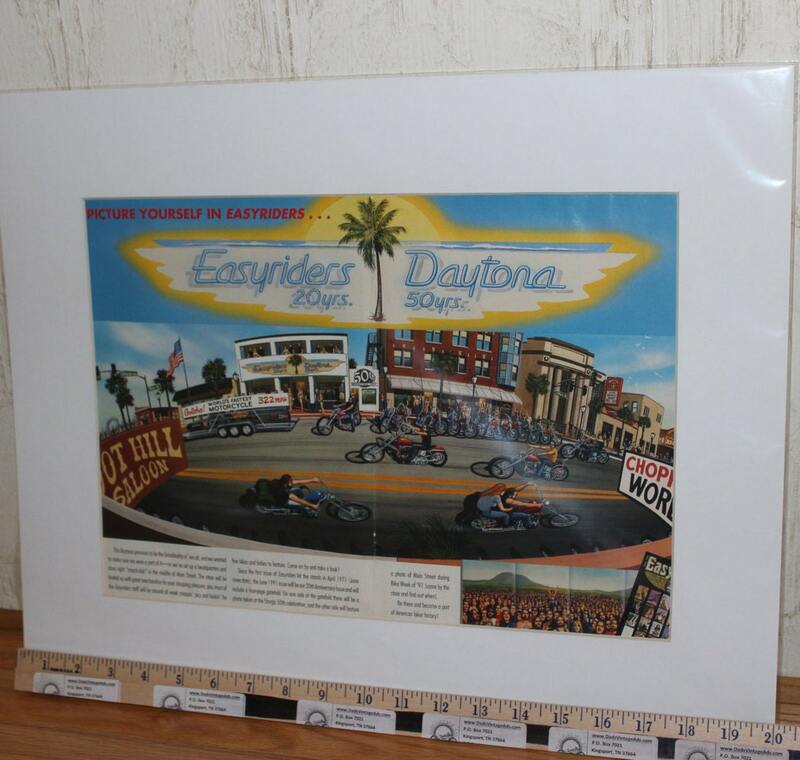 Commissioned as a commemorative piece, David's depiction of Main Street madness in Daytona during Bike Week is, if anything, understated. The 20th Anniversary of Easyriders magazine was a blowout affair in Daytona, swelling with over 200,000 hard-core riding souls. The southern Mecca of bikerdom draw the faithful from around the country for the annual pilgrimage. Twenty miles of ridable beaches never fail to deliver views of some of the most beautiful women on the planet. The week-long party extends north from Ormond Beach to the tip of Cape Canaveral National Seashore. 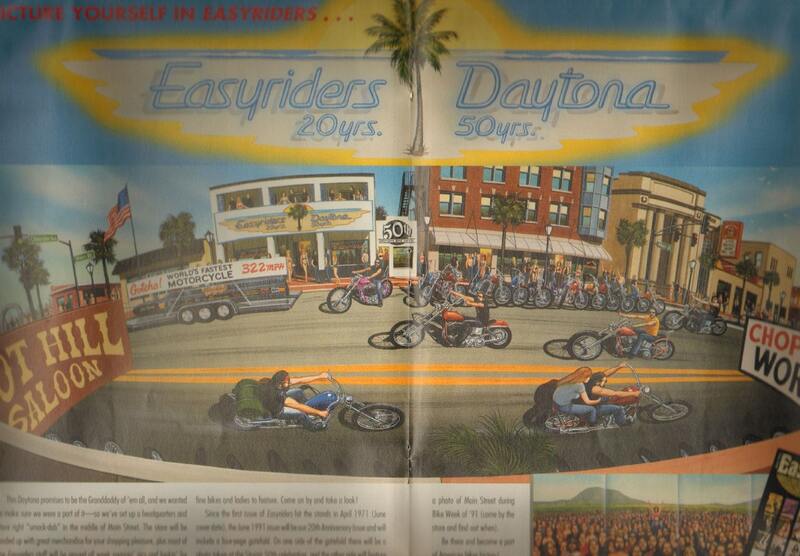 But this year's highlight attraction was the Easyriders of Daytona store, located at ground zero on Main Street. Its prime location afforded a premier view of the comings and goings of the party-goers around the clock. Observed from across Main Street at the Boot Hill Saloon, Easyriders of Daytona promised to be a magnet for Milwaukee Iron and Florida females. And did it ever deliver.